Shopping for Animals Pop! Vinyl Figures? Man's best friend becomes your best Pop! Unconditional love in plastic form! Cuddle up with this Dachshund dog without needing a pooper scooper. The Pop! 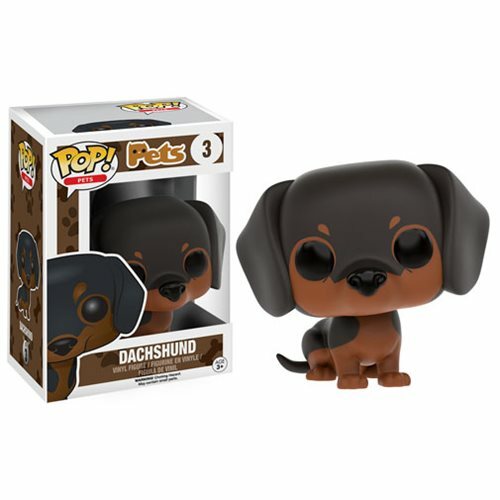 Pets Dachshund Pop! Vinyl Figure measures approximately 3 3/4-inches tall and comes packaged in a window display box. Ages 3 and up.